123-reg: What Coupons Are Available for Apr 2019? 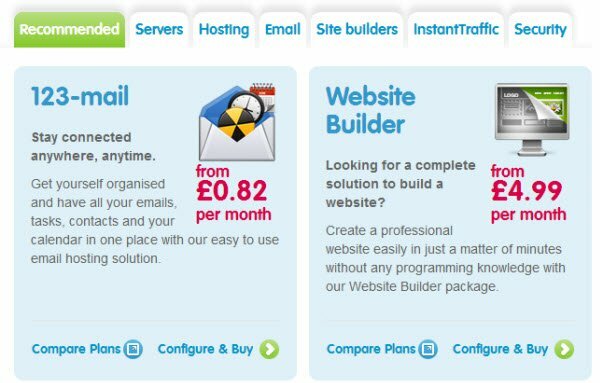 Looking for a quick, easy way to get your website online at bargain prices with a UK-based provider? If so, 123-reg could be the perfect fit for your web hosting needs. 123-reg is a leading domain registrar and web hosting company based in the UK. Their aim is to help individuals and businesses on a budget to quickly and easily create basic websites and reach their audience online. Besides domains and hosting, they also provide email marketing and website building tools. In business since 1999, 123-reg offers both Linux and Windows cloud-based hosting. All four levels of cloud hosting are packed full of the tools and features you need to create and promote your website. They provide a basic control panel that’s intuitive to use and ideal for hosting beginners. They offer one-click installation of popular software like WordPress, Drupal, and Joomla, or you can use their website building tool (available for an additional monthly fee) to create a professional-looking website. 123-reg uses a datacenter in the UK, and their customer support is also located in the UK. Support is available via ticket, email, live chat, or phone during standard business hours. 123-reg already offers hosting at very low prices, but you can get an even better deal with our exclusive coupon codes. 1. Copy our exclusive 123-reg coupon code from the box above. 2. Click the link on this page to open the 123-reg website in a new browser window. 3. Scroll down to find the hosting plans pricing table. The plans all include unlimited bandwidth, but they differ based on the number of websites you can host, the disk space you’re provided, and other features. 4. Carefully review the features included with each plan, and click the green “Buy Now” under the hosting plan of your choice. For all but the “Essentials” plan, you’ll also need to select your initial billing cycle (quarterly or yearly). 5. In the pop up window that appears, you can choose to register your domain name. 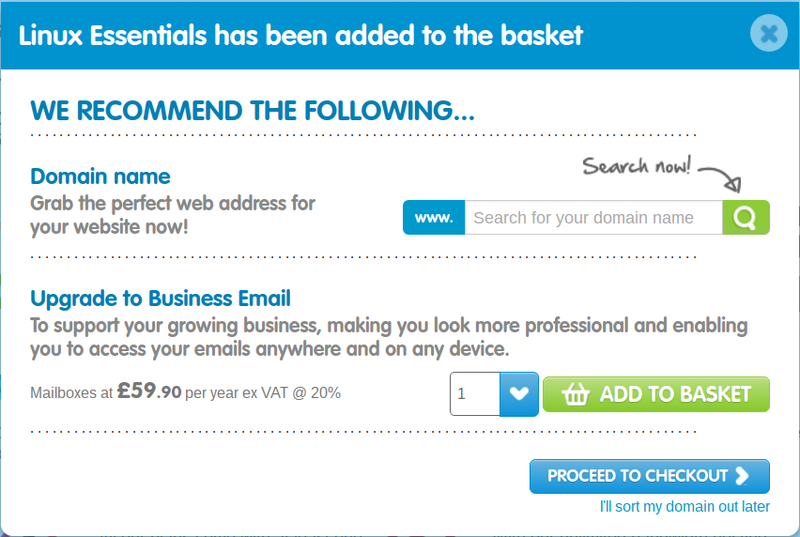 You can also choose to add Business Email to your account. 6. On the next screen, you can review your shopping basket and choose to add some extra features. At the top, check off if you need domain privacy. 7. 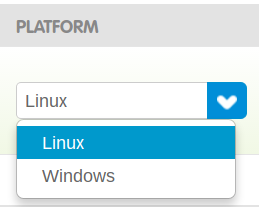 Below your domain, choose whether you need Linux or Windows hosting. 8. Next to that, verify your hosting package, payment plan, and pricing. 9. Beneath your domains and web hosting options, you can choose to add Office 365 Business and/or Cloud Backup to your shopping basket. 10. At the bottom of the page, verify your pricing and click the “Continue” button. 11. On the next screen, either login (if you’re an existing 123-reg customer) or create a new account. Be sure to read the terms and conditions and check off the box. Then click “Sign Up” to continue. 12. Next, you’ll be able to choose any extra services you would like to add to your account, such as 123-mail or a website builder tool. 13. After you’ve reviewed your shopping cart and account information, you can choose your payment method. Once your payment is complete, you’re finished and ready to set up your website! 123-reg offers four different cloud hosting plans: Essential, Business, Unlimited, and Premium. The plan you choose depends on your needs for your website. If you only need to host one small website, then the Essentials plan may be enough. But if you need more than one website, or more than 10GB of disk space, you’ll need to look at the higher level plans. The Business plan includes hosting for 5 websites and 100 GB of space, while the Unlimited plan includes hosting for 10 websites and unlimited space. The Premium plan includes hosting for an unlimited number of websites. However, for all four plans the database size is limited to 1 GB. The plans also differ in the bonus features and tools they include. Make sure to carefully look at the pricing table to see if the features you need are included in your plan of choice. The vast majority of websites use Linux based web hosting. If you’re not sure, you should go with Linux. The only reason to get Windows hosting is if you need to run Windows-specific software such as ASP.NET. No, 123-reg only offers quarterly or yearly billing for new web hosting accounts. No, domain registration is £11.99 per year. You can pay via direct debit from your checking account, credit card, or PayPal. Yes, 123-reg does accept PayPal payments. Before purchasing hosting from 123-reg, you may want to clarify with them whether or not you’ll be able to get a refund if you cancel within 14 days, since their terms aren’t very straightforward. If you choose the Essentials plan, then your monthly price for hosting will stay the same. However, the Business, Unlimited, and Premium plans are all advertised at introductory rates for the first year. When your hosting is renewed after the first year, it will increase to the standard rates. Whenever anyone purchases a domain, their name and contact information is added to the WHOIS public database. If you don’t want your name, address, phone number, and email address to be publicly posted on the web, you should purchase domain privacy so that your domain registrar’s name is posted instead. What is 123-mail? Should I purchase it? 123-mail allows you to set up your own email address at a domain you register with 123-reg (such as yourname@yourdomain.com). Most web hosting companies provide this service for free with all their hosting plans. If you want to set up your own email addresses with the domain(s) you register with 123-reg, you must purchase 123-mail separately. Do I need to purchase Office 365 Business? For £8.99, you can add the Microsoft Office suite with Word, Excel, etc. with cloud storage to your hosting account. If your business uses Microsoft applications, you may find this useful. You can also purchase customized plans directly through Microsoft’s website. Should I get the Cloud Backup service? Per the 123-reg terms of service, they do not perform any data backups whatsoever. The Cloud Backup service is a personal computer backup service powered by a third party software provider, Acronis. The licence covers one personal computer (Windows or Mac) only. You have to install the software on your computer, and then your local computer files will be backed up for you. There doesn’t seem to be any way to use this service to backup your actual website. If you’re looking to backup your website, this isn’t the tool for you. Also, the pricing after the 30-day free trial doesn’t seem to be listed anywhere on the 123-reg website. If you’re interested in purchasing this service, you should contact 123-reg to find out their pricing.